Metabolism | Envy Skin Clinic is all about you! I think most of us would prefer a faster metabolism? When we exercise, our bodies require more energy and our metabolism increases in order to supply it. Remember a slower metabolism means more of those calories you take in are going to be sitting around waiting to become extra pounds. *Various studies have shown that certain “foods” can assist in a metabolism boost. Coffee – A quick boost, consider adding a little extra caffeine to your diet. A cup will give it a quick kick into high gear that can be helpful during the day. Green Tea -Most will say this is a healthier alternative to coffee. 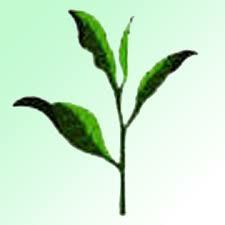 Chemicals known as catechins found in gre en tea are believed to stimulate your metabolism. Citrus Fruits – Researchers say that foods rich in Vitamin C, such as oranges, tangerines and grapefruit contain natural metabolism boosting properties that also make your immune system stronger. Hot Peppers– Capsaicin is the ingredient in peppers that gives them their heat. Research shows that this compound actually stimulates your body’s production of adrenaline which kicks your metabolism into high gear temporarily. Throwing some jalapenos at your sandwich or some hot peppers in your scrambled eggs could help you burn more calories. 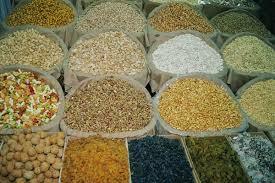 Spices – Cumin, Ginger and cinnamon are all good examples. Adding a decent amount of these spices into your meals can give them more flavor and can help increase your metabolism. Lean Protein – Protein is harder for the body to digest than carbohydrates, and because it requires more energy the result is more calories. By including lean protein in your meal, you’ll be giving your metabolism a boost when you eat. Try to include chicken or turkey breasts and fish. Whole Grains – Fiber isn’t as easy for the body to digest. It takes more energy resulting in fewer calories available to be converted into fat cells. Water– Drink your water! It helps the body flush out excess sodium and toxins. A German study showed that drinking water helped boost the metabolism by 30 percent. Drinking enough water to stay well hydrated also helps to keep you from mistaking thirst for hunger, and can prevent unnecessary calorie consumption and binging. What do you think, any additions?